You can ask why should I drink alkaline water I drink normal water it is ok for me? I see a lot of exposing articles on the Internet. But I can say for sure that alkaline water is much more tasty than water with PH below 7. This water is well absorbed by the body. It reveals the sphinctures of the stomach due to its alkalinity, and therefore water immediately goes into the intestines, where it is absorbed. You can drink a couple of glasses, and the water will not bubble in the stomach. Alkaline water is pleased to drink, unlike acid, which "does not climb." Let me remind you that acid water is water of reverse osmosis, and most of bottled water, which again is produced by reverse osmosis. Alkaline water is much more tastier for cooking. My mom and grandmother appreciated the taste of soups cooked on alkaline water. Alkaline water is really cool! And the alkaline water, filled with hydrogen, can be compared with a mountain source. This water is also an antioxidant. My friend said that kangen water is nourishing. He drank such water from a spring in the mountains last time. Как это ничем? С 2007 года ученые активно ведут исследования водородной воды. Исследования опубликованы на сайте PubMed - Американская Национальная библиотека медицины Национальных институтов здоровья. Сейчас вы подвергаете сомнению, потом сами будете пить такую воду. Наша вода называется hydrogen rich water, Electrolyzed water, alkaline water и т.д. 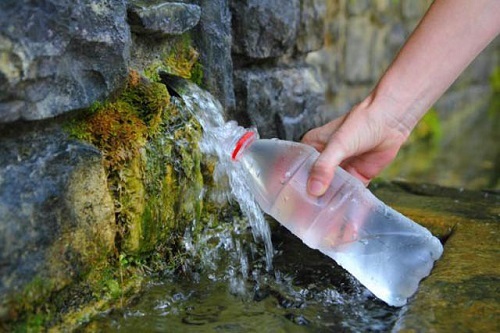 Является ли талая вода антиоксидантом? Нет, не является, С чего бы ей являться?! Лед замерзая образует решетчатую структуру, растаивая структура меняется на характерную для воды. Для того чтобы сделать воду антиоксидантом надо насытить ее водородом. Те подвергнуть электролизу.